Photoshop has had an update to version 19.0 (2018) and we've put it's latest tools to the test. Daniel Bell tests the Athentech Imaging Perfectly Clear Photoshop Plug-in to see if it can improve his images without too much effort! 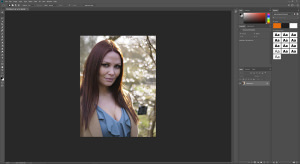 An in-depth look at the new features of Photoshop CS5 - the image editing program part of the new Adobe CS5 Creative Suite. After being blown away by the mind-boggling feature-set of Adobe Photoshop CS4, Matt Grayson takes a look himself. At last a version of the mighty editing program that won’t stick its nose up to Windows Vista. Duncan Evans rubs his hands with glee.